“It’s the most visited country in the world, is there really anything new to see here but tourists?” is the first thing I hear as we step off our luxury liner onto the docks of Saint-Raphael in southeastern France. There is, we soon discover, a locale so off-the-grid that it’s managed to maintain its original character even after so many centuries. 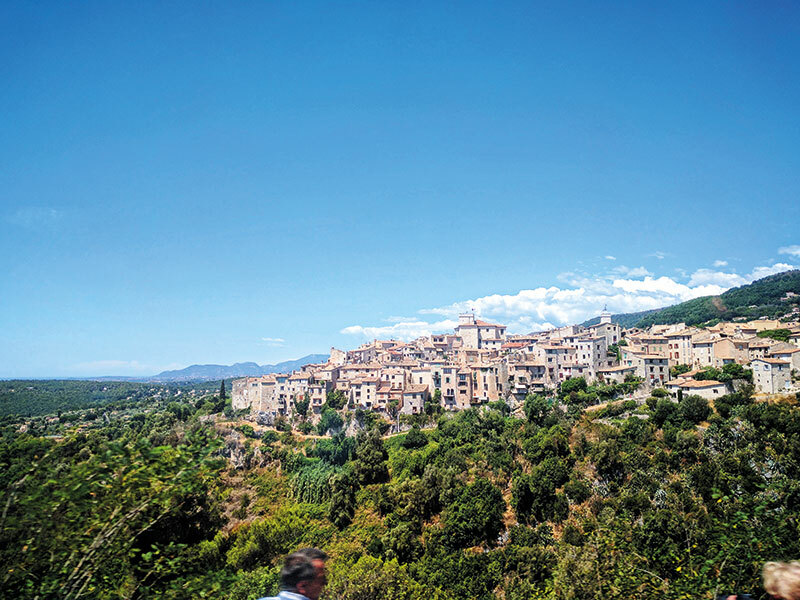 Post a leisurely lunch near the Loup Canyon that flows through the Riviera, we head on an hour away to what I christen the haven on the hill, Saint-Paul de Vence. As the bus stops a couple of kilometres from the village — the lanes being too small for vehicles — my aunt and I are in deep conversation about which spot we’d like to build our future houses on. The quaint town in Provence is lined with walls constructed in the middle of the 15th century, which have since remained untouched. We follow the hilly climb to the main road, Rue Grande, and the cobbled streets with its stone buildings, and tiny bylanes and stairways instantly transport me to medieval times! At the end of it lies a stone terrace from where you’re treated to the most stirring view of the district. “I don’t ever want to leave!” I’ve mentally decided. 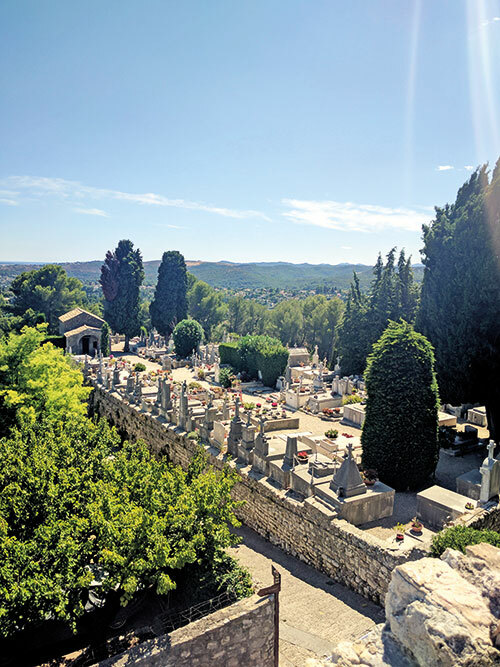 Spot the Baou de Saint-Jeannet, a towering limestone bulk that adds a dash of brown to the majestic blue skyline. Just next to the terrace is a cemetery where one can find the remains of a familiar name in the art world — Marc Chagall. It’s the easiest grave to spot — coloured pebbles line the tomb, each with a message from an admirer. Spend a few moments strolling around — the quietude adds to the serenity of the moment. On my walk back, I decide to explore the boutiques and galleries that line the main road. Each one, in a bid to promote indigenous creations, hosts works by artists of the region — landscapes, still life, portraits, you have it all. A tiny store houses delicious jams and spreads — I end my walk with a taste of the chocolate spread, and a blueberry jam. While my family makes a detour for the L’Occitane En Provence store, I spend a few moments taking in the beauty of this haven. 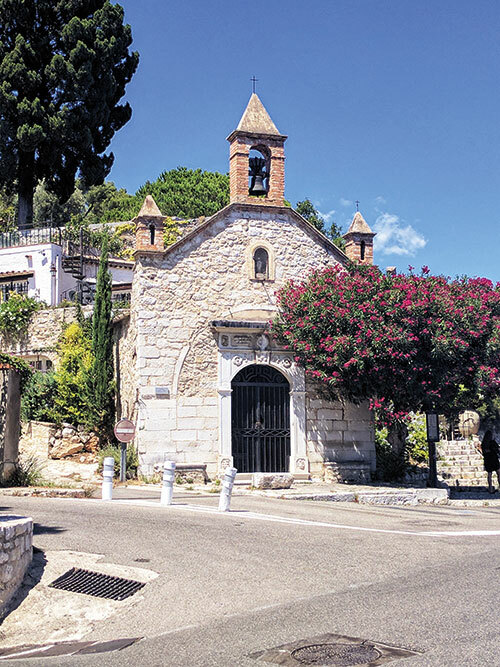 If there ever were a perfect place to just sit and watch the world go by, Saint-Paul de Vence would definitely be it.